When the Canadian Centre for Biological Reform announced their plans to return to Sheridan College after their Sept. 15 protest against abortion, students passing by were not happy with what they saw. Members of the CCBR arrived early Monday afternoon in B Wing to once again spread their pro-life views to students. As soon as they arrived, students immediately fought back against the group with their own protests. Second-year Visual Creative Arts student, Samantha Morton was among those protesting the visit. As soon as she noticed them, she quickly made herself a sign and set herself alongside the CCBR members. “We are firm believers in our campus being our space and a safe place for students,” said Amelia Sher, awareness coordinator for SSU. The main concern about the issue is whether the graphic images are too much for students to see. Things got to the point where students took a cloth and sheltered others from the group. Since their first protest last month, students have continued to express discomfort with the presence of CCBR on campus. Students used a cloth to prevent others from seeing the graphic imagery. The CCBR was not worried about the backlash that met with their visit. Van Maren says his organization plans to continue with their mission without changing their way of doing it, going to campuses across Ontario, spreading their pro-life message. 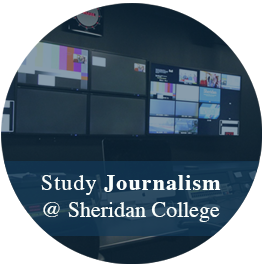 Matthew Burditt is a student at Sheridan College studying journalism. Capable of working in digital print and broadcast on the technical side. Main writing passion is writing about the arts and current affairs. Interesting–you use white sheets to block the signs, and you call this peaceful protest? Its more than protest, isn’t it? It is preventing freedom of expression. ARe the students of Sheridan kids who needs to be protected, or adults who can engage in controversial viewpoints? You say students were not happy with what they saw. Yet they couldn’t see it for the sheets. 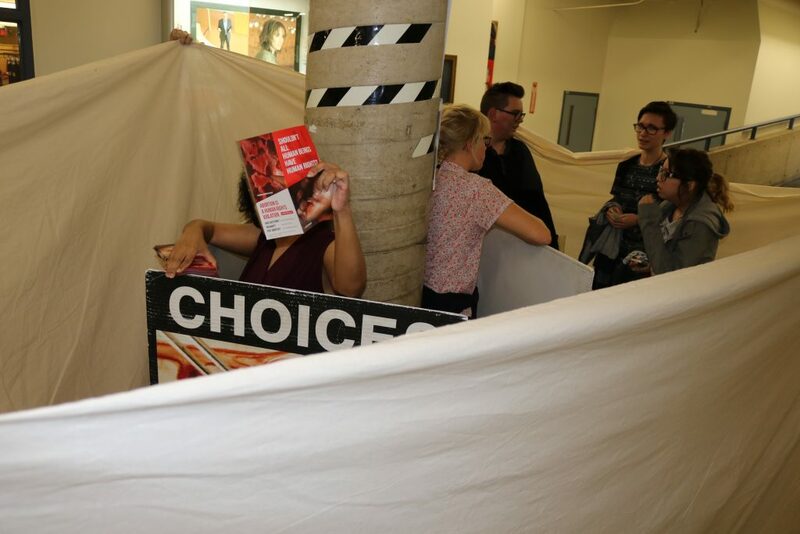 But for all that, you have a picture of these sheets, and behind it are students in interaction with the protestors–and they don’t look unhappy! Seems your reporting is rather biased. 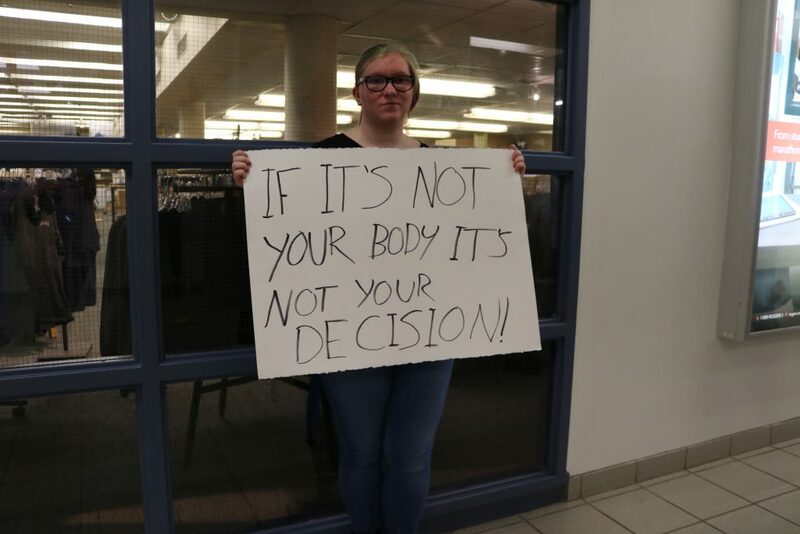 I like the sign “If it’s not your body it’s not your decision”. That’s completely correct — the baby’s body is not anybody else’s body, so nobody has the right to choose to take his/her life. Funny how the pro-abort people just don’t get how funny they can be!